science | Purpose Based Learning – Education for Now! I recently had the opportunity to record a podcast with Ben Newsome of Fizzics Education. Having an extended time to discuss all things science and teaching was refreshing! 1. Whilst conducting your science lesson, have in mind a kitchen scale… is your lesson well balanced between having fun and delivering deeper meaning? 2. Use the outdoors. This can be a fantastic circuit breaker for students plus the environment around you can provide a rich source of learning opportunities. 3. Restricting the number of desks in the classroom forces you to creatively think of different methods of delivering a lesson. 4. Invest in your colleagues. Provide as many opportunities as possible for professional development and the investment will pay itself back ten-fold. 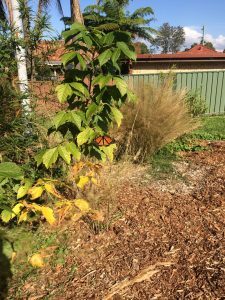 The Butterfly Garden – Six months on with butterflies! 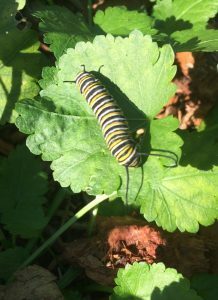 Last year, and as outlined in a previous post my stage two class set out on a six month project to establish a butterfly garden with monarch butterflies being one of the main species that we wanted to attract and sustain. 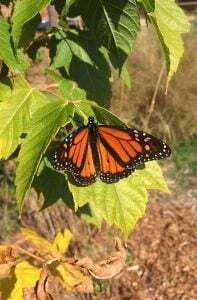 So last week it was truly satisfying to see a couple of monarch butterflies in the garden. 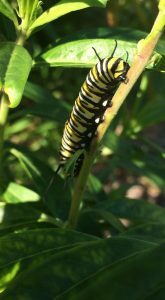 Along with some of the students that participated in the PBL project we carefully examined the milkweed plants which act as a host for egg laying and monarch caterpillars. Sure enough not only did we find quite a few eggs on the tips but also fifteen or so caterpillars in varying stages of maturity. The kids were totally over the moon with the evidence of success and at seeing a natural life cycle occurring in the habitat that they had helped create. 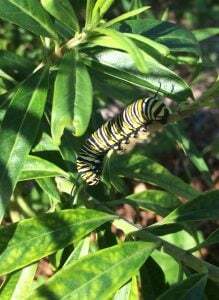 We are looking forward to monitoring the health of the garden and the number of monarch butterflies that mature. 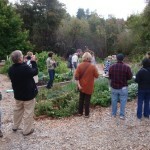 The garden is also proving popular with my classes for nature sketching and quite time. Novel Engineering – engineering and literacy combined for student success! Read a book, make a fish hook! Sound interesting? One of the real highlights of my recent Churchill tour to the USA was a visit to the Center for Engineering Education and Outreach at TUFTS University, Boston. One of their main projects is Novel Engineering and the website at novelengineering.org has detailed information. Essentially the project uses classroom literature as a context for engineering to engage kids in STEM through the integration of engineering and literacy. 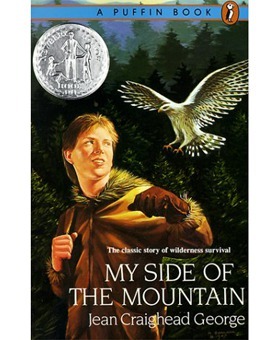 This term I have been using the classic American text My Side of the Mountain to support my Science and Human Society and its Environment units based on animal adaption and national parks. I’ve also been exposing my students to tinkering and makerspaces and they have responded very positively to design, make and create activities. So it was with interest that I set out to see how My Side could fit our ‘making’ environment in the classroom. My Side of the Mountain has at its centre Sam Gribley and his adventures in the Catskill Mountains after he runs away from home. It is very much about adapting to a foreign and sometimes hostile environment with many practical challenges – ideal for novel engineering. One of the activities Sam completes in the book is the making of a fish hook using twigs and reeds/grass. 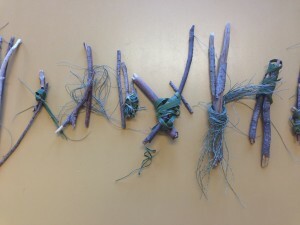 I set the task of having the students make their own fish hook using twigs, bark and natural materials from the school yard. I gave little practical guidance and we went outside and spent the first session collecting materials and ‘trying’ to make a hook. 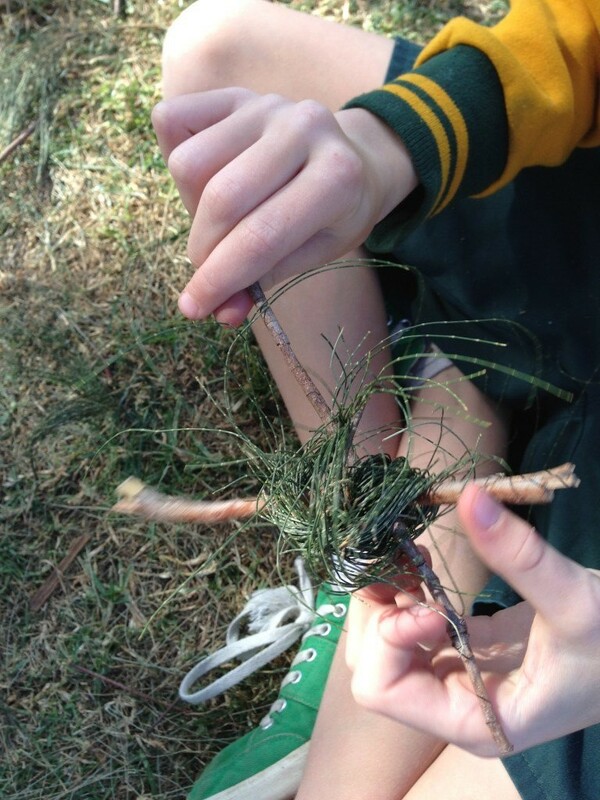 This was really interesting as students approached the activity in a number of ways; some jumped in and started trying to tie things together randomly while others took their time and found fine pieces of twig and casuarina leaves or tore grass plants into thin pieces for the weaving and tying. Frustration also become evident for some students who while academically very capable and high achieving in the tradition sense could not complete to their satisfaction a finished design. We shared our finished designs of varying success and talked about the iterative design process and my favourite belief of ‘learning through mistakes’. We talked about what we could change in terms of material selection for the hook and for tying. We then returned and started afresh, this time students that struggled initially had taken on board suggestions, reflected on their designs and seen the success of others. Again we repeated the process and after a third making session of about thirty minutes we had our finished hooks ready to share. On reflection I think that Novel Engineering has much to offer and caters especially well for students with learning difficulties or who might not always achieve the general mainstream academic success of their peers. I also found that both boys and girls engaged equally well, however students who have difficulty with say comprehension and reading could produce a product related to the text and explain the process that they had undertaken. What struck me was how this type of engineering design task really allows all students to shine, one of my students really struggles with literacy and in this activity she shone and quickly crafted and delicately bound together a hook. She came to me beaming and explained that the needlework and craft that she did at home made the construction component that much easier. I see great value in the project. It offers teachers who are not confident with the design and make process, a way in through using texts that they are familiar and at ease with. By combining both literacy and STEM, an integrated project learning experience is accessible and students have an engaging and challenging environment in which to succeed. Thanks also to Cara Rieckenberg from SEA school who recommended both this text and Gary Paulsen’s Hatchet series. 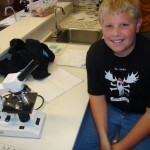 Scientists and Schools – Partnerships that Work! Mt Ousley PS has recently been partnered Dr Ali Haydar Goktogan who is a Research Fellow at the Australian Centre for Field Robotics (ACFR) at Sydney University. I recently Skyped with Ali and we explored how we might work together to enhance learning opportunities for our students studying robotics and use the 5Es to explore, engage etc. We were both enthusiastic about the partnerships and it already looks like we have arranged a school visit from Ali to demonstrate some robotics models, a field trip to ACFR and also a visit to the Powerhouse Museum to use the Pathways to Space – Mars Simulation Robotics that Ali helped build. Increasingly partnerships between schools and scientists are being viewed as an effective way to bridge gaps in science teaching and learning and importantly add a real world context to student learning. The Australian model of Scientists in Schools has proven highly successful and a recently released report paints a very enthusiastic model accepted by both the teaching and science communities. Furthermore a new international teacher -scientist conference has just been announced due to increased focus on this important area. Building partnerships, professional networking through a PLN and embracing opportunities are what makes for successful and fulfuling teaching and learning in this day and age. Long live sharing! The Honeywell Educators @ Space Academy program has influenced my teaching greatly in the past year –from rocketry and space to innovative math lessons. Applications are now open for 2012. Follow the link for a possible countdown to a rewarding learning opportunity!! Well its been a little over three months since I attended the Honeywell Space Academy for Educators program at the US Space and Rocket Centre in Alabama, a detailed review is a few posts below. 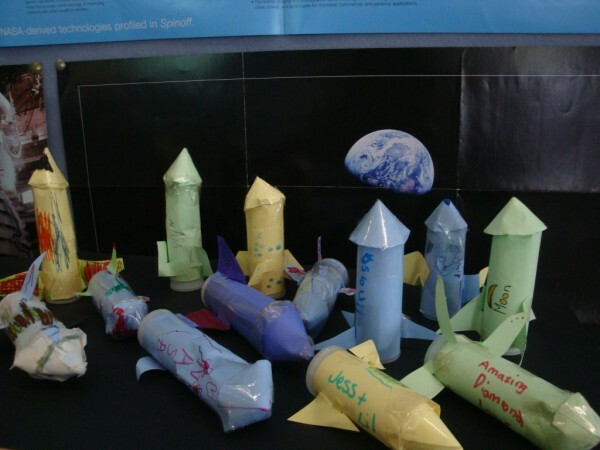 One of the highlights was exploring how elementary students can be safely introduced to space exploration and the science behind it through a rocketry based curriculum. On my return I established an after school rocket club targetted at a small group of eight upper primary students who expressed interest in participating. 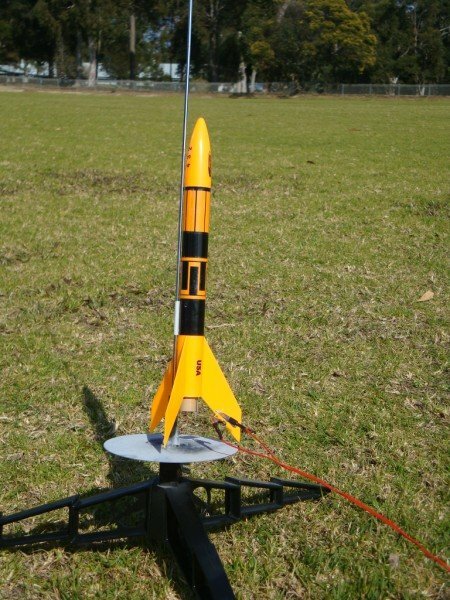 I was looking to pilot a five week program that stepped students through a range of theory and practical lessons using rocketry as the means of creating, stimulating, encourage interest in science and math related curriculum. 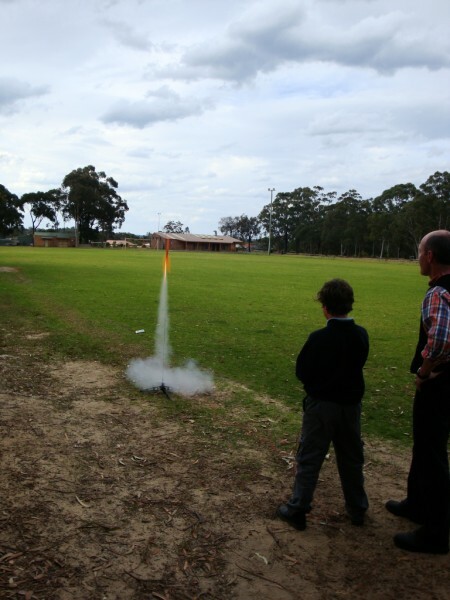 I based my program on the NASA Rockets Educators Guide and the Victorian Space Science and Education Centre’s Rocketry for Kids Resource along with numerous videos including Apollo, Ares and the private SpaceX consortium. Week 4 – Launch day( what it’s all about! 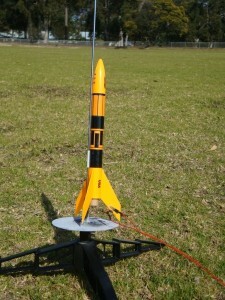 ), fly A and B engine models. The kids greatly enjoyed the design and make process and and off course firing the models gave everyone a huge buzz. I’ve considered a bottle rocket component and will include this activity when I can build a suitable safe and reliable launcher. One of the important features of the investigate, design, make process that is often overlooked in classrooms due to time is the importance of redesign and retest. It is through this process that critical thinking and analysis takes place and leads to improved design outcomes. The course will run again next term with a new group and again I’ll take their feedback and refine. So far, so good and I hope we have gained a few more students heading into high school with an enthusiasm and energy for science and math related study and careers. 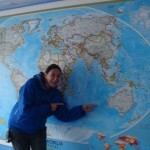 I have been using Google Maps to create an exploration of my trip. You can view it here and you can also view it in Google Earth if it is running on your local machine. I see great scope for explorations in the K-12 learning environment. 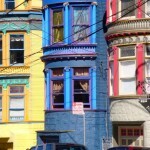 These are based on the work of KQED in San Francisco. View USA Study Tour Exploration in Google Maps. Note -this blog was updated with new material from Lehigh University, FrostValley YMCA, SUNY Cortland and the Cornell Lab of Ornithology on Nov 3 – it follows at the bottom of the page. This blog was updated on October 26 with new material on Yosemite and Monterey Bay – it follows at the bottom of the page. This weblog is before you because of the opportunity presented as a recipient of a NSW Premier’s Teacher’s Scholarship in Science sponsored by Macquarie Capital. Thank you Mick Lilley at Macquarie Capital for making this exciting study tour possible, This blog enables a quick and efficient means of keeping family, friends, students, fellow teachers and other interested readers up to date on selected highlights of the trip. A comprehensive study paper and report will follow on my return. Having arrived at LA I transferred to a late afternoon flight to Seattle, Washington. With clear skies and a window seat the panoramic expanse of the Sierra Nevada and Yosemite ( ahead in the schedule) teased from below. As we flew over Oregon and Washington the high peaks of Mt Hood, Mount St Helens and finally Mt Rainier were visible below. A spectacular way to start the trip. Having picked up the hire car and nervously navigating to the hotel with a non-functioning GPS (technology can fail us all!) an early night was in order. The next morning and with the GPS rebooted and working (phew) I caught the morning ferry from Seattle to Bainbridge Island. A few minutes after arriving I ented the forest (bush?, woods?) 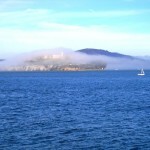 that is home to Island Wood School. 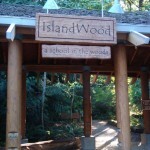 Island Wood is a residential environmental education centre with a commitment to sustainability demonstrated through efficient waste management and water recycling, a school garden and solar power. My host Dr Clancy Wolfe has played a significant role in the school’s development and I was fortunate enough to have a comprehensive tour of the buildings, gardens, suspension bridge and fire tower. From a technology in environmental education perspective Clancy utilises ICT when it enhances an opportunity for learning. Examples include the microscope lab, weather stations and of interest to myself GPS activities and the use of Ipods as aids in bird watching. 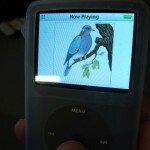 When an educator is in the field with a group of students and a bird is sighted the Ipod is produced and used to identify the species (album cover), provide detailed text( lyrics) and with the aid of a small speaker play the birds call (mp3). In this instance the Ipod is functioning as a field guide but with the added advantage of the actual bird call. This example of technology in the field could be incorporated into environmental education centres, sport and recreation centres and schools at a reasonable cost. The content itself could be generated by students through visual art and via sourcing images, mp3s and data as part of a web research project. All up a winner! Thanks Clancy for sharing your knowledge. 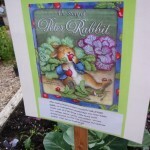 At Mary Woodward School in Tigard it was exciting to see classes designing and planting gardens based on themes such as book titles and colours. 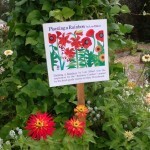 Sunflowers and pumpkins were common in all gardens as both offer striking flowers and produce. Three days of workshops, seminars and collegiality! The next three days were spent attending sessions that ranged from 45 minutes to 90minutes. With over 1400 delegates and up to twenty (yes twenty) concurrent sessions it was an exciting and draining time. Sessions I participated in included Google Maps, Using Technology to get Kids Outdoors, Global Warming Learning using Online Data, Streamwatch/Salmon watch, Measuring ICT use in Teacher Education, Art/Science In Environmental Education, Teaching Partnerships and Nature Journaling. Evenings were spent with fellow attendees at dinners, an open night at the Oregon Museum of Science, and informal social gatherings. I met teachers and educators from Ethiopia, Spain, Canada, New Zealand along with a few other Aussies. 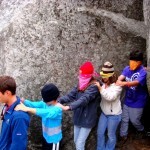 The power of partnerships that leverage individual group’s strengths should not be underestimated. For a school this means engaging with the community, businesses, councils and agencies that bring expertise and passion in developing and supporting school programs. This in turn strengthens community pride and stewardship of the local school and habitat areas. Technology – increasing access to web based programs/initiatives and the need to use valid technology that is intuitive and requires minimal teacher/student learning. The Oregon coast was spectacular and sea lions surfed and jumped in the waves below Hecate Lighthouse. 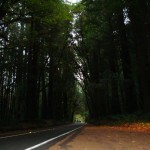 On through the redwoods and elk, deer and the majestic “Avenue of Giants”. 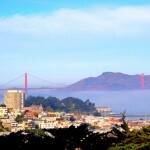 Then into across the iconic Golden Gate Bridge into San Francisco. 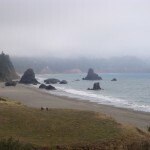 The weather changed and the rains came for the first storm of the season as I crossed the bridge and made my way to meet Bec Dietrich at the Naturebridge Headlands Institute on the Marin Headlands and the former site of the Nike missile project. Headlands runs student day and residential programs and even has a regular kindergarten class that attends an overnight trip each year. Field studies are strong and on this day the children braved the wet and wild weather before returning to the marine laboratory and inquiry based studies using the microscopes. Students sampled freshly collected algae from the lagoon and sought to identify various micro-organisms against a specimen sheet. 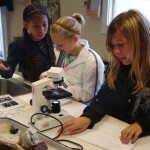 Students were engaged and curious and detailed their findings in a comprehensive field journal provided to each student. Interesting finds were then broadcast via a data projector link and the entire group were able to share information and discuss the image. Housed in downtown San Francisco KQED is a public broadcaster for the Bay area. As well as providing television and radio content KQED has a strong science education focus incorporating content from tv and radio into learning initiatives as well as working with schools on the Explorations developed using Google Maps. Jessica Neely the Project Supervisor generously hosted a visit and we explored how teachers and students can collaborate on creating community/local maps using Google Maps. These maps can contain photos, video , text or scanned images of students art work that combine to create a multimedia presentation on the topic of choice. A wonderfully flexible, creative and interactive tool for developing individual or class projects. A great example of class work can be seen here. The Academy is housed in a spectacular new building that opened a year ago in Golden Gate Park. 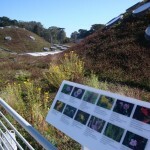 The roof is a ‘living garden’ representative of the local flora and is surrounded by solar panels supplying much of the buildings required power. With the highest level of sustainability certification available the Academy is a model of sustainable design. With a focus on education through scientific inquiry I met with Helena Carmena. 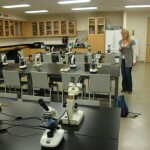 Helena guided me through the microscope lab and outlined the way in which it offers teachers and students opportunities to undertake investigations. An example being geology and the linking of mineral samples with consumable/manufactured products made of the same mineral. We also explored the classroom kits that allow teachers to borrow a suitcase containing teaching and learning resources from the Academy’s collection for use in their school. 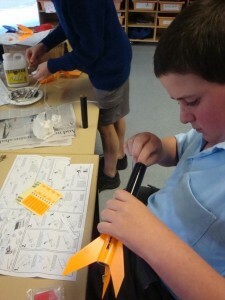 An effective outreach program similar to the Australian Museum’s ‘Museum in a Box‘ initiative which is supported via the DET Connected Classrooms project. The Academy is also using GPS units to undertake surveys and treasure hunts in the nearby park with a long term view of data collection and analysis. 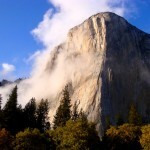 Yosemite is everything John Muir believed in and more – extreme rock faces, towering granite, waterfalls and spectacular autumn/fall scenery. 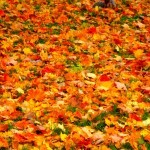 It’s also very busy – even in the off season with day visitors, overnighters and numerous rv’s and campers. 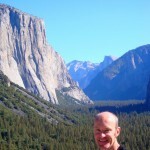 I joined in with Bryan from the Naturebridge Yosemite Institute as he picked up his group for the week from AE White School near Los Angeles. Being the start of the week Bryan established basic guidelines for the students including communication, hygiene and expectations. 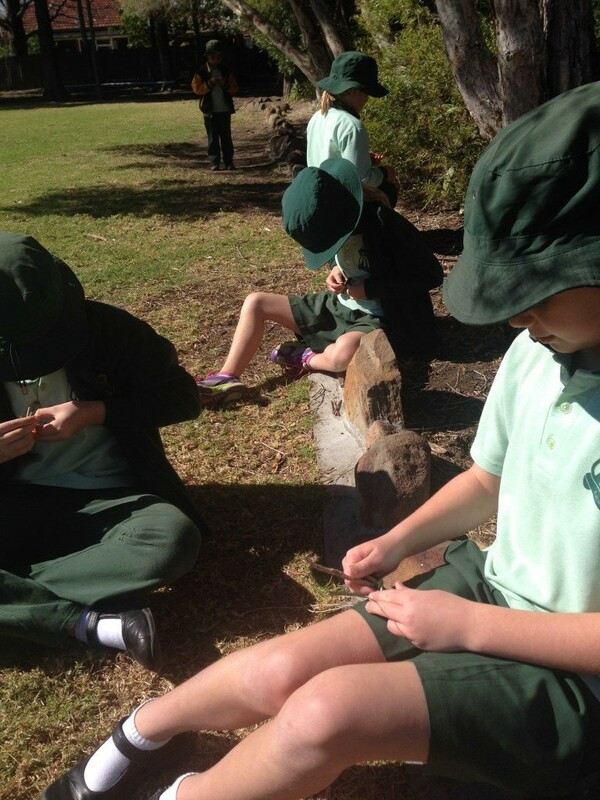 We participated in team building initiatives and it was exciting to see students communicating and sharing as they explored the natural environment around them through observation, questioning and group discussion. 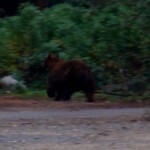 A black bear seeking out apples in an old orchard proved a highlight. Adam Burns, Field Scientist with the Institute has been incorporating GPS and Google Earth activities with some groups of late. This interesting initiative is being used to track wildlife on the valley floor via a standard GPS unit. Data is then exported into the open source program GPS Babel via a MS Excel or similar spreadsheet.. GPS Babel interfaces the data with Google Earth via the .csv file. The csv file is simply dragged into Google Earth and the coordinates are placed into the correct positions on the satellite image. By then sharing this data, students can log into Google Earth at home or in the classroom and complete post-field trip activities. Cybertracker is a program with similar capabilities as is MyWorld; both commercial programs. In terms of cost effectiveness the biggest outlay would be for a GPS unit with many institutions using the basic Garmin Etrex which is available in Australia for around $125. 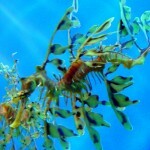 Much praise is lauded on the Monterey Bay Aquarium and from what I have experienced it is well placed. The Aquarium functions on many levels with departments focusing on the aquarium exhibits, animal husbandry, scientific research and education. Many employees and maybe even more enthusiastic volunteers combine to present a dynamic organisation committed to marine conservation. I spent two full days with team members and saw many areas of operation. After a breakfast meeting with Education staff including Kimberley Swan, Mary Staley and Stacia Fletcher I travelled north to Pajero Valley High near Watsonville to experience the middle school WATCH program in action. WATCH (Watsonville Teens Conserving Habitats) is a great example of an effective partnership and outreach program between the Aquarium and a local school. Educators team with science teachers from the school to deliver an inquiry based science environmental science project for students in the middle years. The program features the embedded use of technology through the use of wikis, blogs and Nokia Xpress 5800 phones. Students use a wiki to take notes, formulate hypotheses and gather data. Once a research question has been approved student teams are assigned a field scientists from the Aquarium and conduct practical field studies. In the field the Nokia phones (without sim) are used as a multifunction data gathering tool able to record still and moving images, audio, web browsing for spontaneous field related research and GPS logging of position. Back in the classroom data such as still images can be uploaded to a pc, opened in Picassa which has a geotag function and then exported to Google Earth for viewing. This is certainly an innovative program and students who I interviewed appreciated the ability to capture images, web browse and geotag all with the one device. 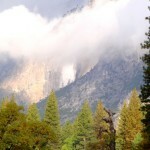 I understand there are some limitations as to GPS/web ability depending on location and wi-fi but the project is one that demonstrates, as does the Yosemite GPS work what may be possible in terms of creating programs that use technology to enable students to undertake true field based scientific inquiry studies. Again the term citizen (or community) science is evidenced in projects such as these. I’d like to thank Kim Swan, Teens Program Manager along with Gary Martindale and the students of Pajero Valley High for allowing me to visit. My second day at the Aquarium was busy and diverse. 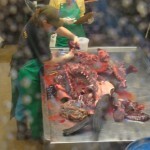 The morning started with a Behind the Scene tour that included a morning sea otter feeding along with the feeding of bat rays, trout and handfuls of squid, prawns and other yummies to fish in a larger tank. We participated in target and broad feeding and got a feel for the aquarist’s work. This was followed by a visit to the Discovery labs and time with Stacia and Pamela as they worked with elementary and middle schools in a hands-on investigation. 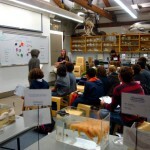 Students participate in feeding, touch activities and observations of specimens such as abalone, sea stars, urchins and similar. 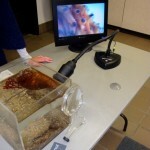 The use of traditional methods includes the close up observation of specimens using Kenavision microscope cameras connected to flat screen monitors. This is more effective for this type of activity than stand alone microscopes and allows educators to communicate/demonstrate to all students as a group. In the afternoon I met with Adam Yoshida, Tech Communications and we had a broad ranging chat about web 2.0 applications such as Twitter, Facebook and Wikis as means of facilitating communication and managing information. We also discussed an earlier program that used Ipods as a form of interactive tour platform. 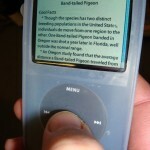 In this case the Ipod delivered niche topics for particular users who were comfortable with the personal nature of the device. It was noted that in these types of devices an intuitive nature is desired so that time and energy are not spent in attempting to understand or make the technology work – a recurring theme with virtually every educator I spoke with. Devices need to deliver the content or gather the data in a quick and easily understood manner. Reference was also made to the Aquarium moving to a wiki as the main form of data and information management and delivery. This resulted in a move away from the standard folders, sub folders structure typical to Windows. Lastly I’d like to thank Katy Scott, Education Technology for outlining how she has built the WATCH wiki and blogs using Drupal and demonstrating the Nokia/Picassa/GoogleEarth sequence of data management. Katy also had a Year 1 class blogging at her previous school – WOW! After flying east I drove to Bethlehem, Pennsylvania to meet Professor Alec Bodzin at Lehigh University. Al, doctoral student Tammie Pfeffer and the team are developing web based inquiry projects and the university has partnered with nearby Broughal Middle School. Al and his team have developed a number of past projects that have utilised GIS software such as ArcView to build online content with an environmental engineering focus. Examples include local watersheds studies to engage students and which make connections to the local environment. Past projects have had students using GPS units to record stormwater drain position data in their local area. The team have now moved to the educationally targeted MyWorld GIS software that offers greater ease of use for students and teachers. It is also a more affordable solution for educational institutions. A current focus is the Environmental Initiative and Literacy project that centres on land use, energy and climate change. With Year 8 teacher Lori Cirruci running the class sessions, students are using Internet based modules consisting of teacher support material, student activities and custom screen images purpose built by Lehigh University using MyWorld, Google Earth and the open source Google Earth .kml file format. The key to this initiative is the provision of a structured web based learning platform that supports teachers in implementing inquiry based science learning. Students are assisted through the provision of interactive data files and other web resources. A few hours north of Bethlehem lie the Catskill Mountains and hidden among the hills and woods is Frost Valley YMCA. The centre operates a number of programs and initiatives including its own forestry and maple syrup house (sugar house). The maple syrup process is fascinating as selected maples are tapped in spring and and the sap runs downhill through hundreds of feet of tubing to the the main tank where it is heated and water boiled off before bottling takes place. Reid Bauer hosted my visit and we talked about the program structure, clientele, environmental programming and the use of technology. The centre is very much a hands on, experiential environmental centre similar to Island Wood or Yosemite Institute with a strong focus on active outdoor participation. Reid has developed a dedicated GPS program using Garmin 72 units with positive results and a few words of wisdom. 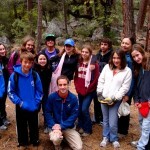 Students are taught the elements of GPS navigation and device use before completing a geocache hunt. Geocaching is the practise of using GPS to find specific targets usually a small box or item. This activity incorporates maths, science and physical activity in a structured environment where success lies in navigating to the correct point. An extension at Frost Valley is to consider using GPS in field based science inquiry activities with students contributing to the forestry program through logging the coordinates of trees targeted for preservation, observation and the collection of growth data on an annual basis. Reid made the point that for GPS activities to be successful in the camp environment instructors need to not only have a basic level of GPS knowledge but have confidence in the equipment’s ability to function reliably and accurately. Again the feedback is consistent with other educators when outlining the pitfalls of technology integration into general programs. 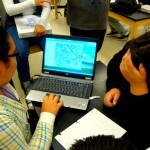 Specifically those teachers that follow the early adopters( who will generally expect and accept technical challenges and resultantly plan for some failure along with a backup plan) want the equipment to be easily operated, reliable in operation and suitable for students to operate with minimal instruction. Typical issues include battery charging, access to user manuals and cheat sheets, the need for adequate staff training and developed lesson plans. Garmin 72 are preferred over the the Etrex as the 72 has all buttons on the face of the device and offers easy navigation. The Etrex has side buttons which take longer to become familiar with. The next day I made way to State University New York at Cortland to meet with Dr Beth Shiner Klein, Associate Professor of Science Education to discuss her Environmental Thematic Methods Block subject for undergraduate students. 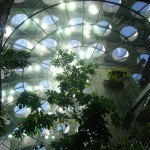 The subject incorporates both environmental themes and technology. 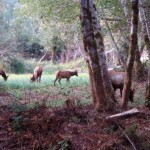 We visited the Lime Hollow Centre for Environmental Education and met with Peter Harrity. 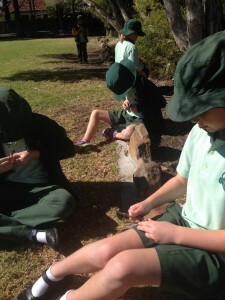 We talked about students undertaking learning activities and ways in which students can connect to nature in the field. Beth has been having her teaching students build podcasts that are used to connect school students to the activities that they will undertake during field studies at Lime Hollow and similar centres. Later I met with John Pinto who has recently been using web based data such as that found at PowerNaturally to explore concepts of solar power and generation with his students. Live data is available from a number of schools that have solar panels fitted. Web 2.0 applications have allowed for international collaboration between schools with links developed between the USA and Australia. A comprehensive set of lesson plans are also available to support the solar power initiative.